Assessment is the essential foundation for organizational success because high quality assessment used at the point of hire enables you to have the greatest impact on performance, productivity and retention. 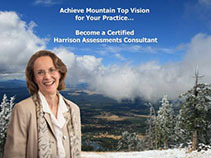 To be effective, assessment must comprehensively assess both eligibility and suitability and provide an overall score. Eligibility factors include previous experience, education, certifications, skills, abilities, and reference checks, and aptitude. Suitability factors include attitude, motivation, interpersonal skills, task preferences, interests, and work environment preferences. An effective Job Success Formula governs the entire process of recruitment and enables you to effectively pre-assess applicants, interview applicants and determine the best candidate. It not only structures the interview, it structures the entire recruitment process making the assessment much more systematic and accurate.